Last week I was chatting online with a friend named Barbara who just finished reading my book Positive Aging. She was very complimentary so naturally, I asked her if she would please do a review on Amazon as a way to help the book get more exposure. Of course, as usual, I explained that I really wanted her honest feelings, not just compliments. 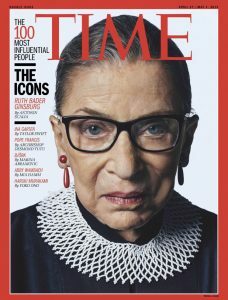 That’s when she admitted that the only question she had was whether positive aging was possible if a person had money problems. That made me stop and think it through myself. Does positive aging require money? No doubt it might make things easier. But in the end, just like with happiness, money can help but it is never a guarantee of either result. With that in mind, I thought it would be useful to explore a few things that can either help or hinder a path to positive aging. As I have written about before, after a certain basic income, all the money in the world doesn’t make a person happier. I believe aging is the same. A couple of weeks ago Thom and I sat sharing a coffee at the local coffee house. We were chatting about something we’d recently read when a man walked over and started talking to us. I don’t know how much he heard of our previous conversation or if he just watched us as a couple, but he started by asking if we would answer a question. Then, for the next 45 minutes Mark (not his real name) proceeded to tell us about his life. Mark is, according to his estimation, a successful lawyer in LA with his own law practice. He let us know that he makes over $500,000 a year, has a large, impressive home in a desirable neighborhood, and a second home in a country club here in our desert community. He is married to a beautiful woman and has three kids—two in college studying to be lawyers and one (a deadbeat—his words not ours) still living at home. He turned 60 a year or two ago and stays very active and healthy. On the surface, it sounded like he had every advantage. That’s when things got interesting. Within minutes we knew that he was worried about getting older. He admitted to being almost fanatical about exercise and the need to stay active in order to fight off the inevitable. A big part of his problem was his wife. She didn’t like the desert so refused to visit. She also didn’t eat healthily or exercise and just wanted to stay at home in LA. For that reason, he was spending a lot of time with a younger woman (another lawyer) who also enjoyed staying active. And as far as the law practice went, he was bringing in some new partners, so he didn’t have to work so many hours maintaining his income. Okay? Even after his true confessions, it wasn’t obvious what Mark really wanted or needed from us. But in some ways that made it easy for us to be blunt with him. We asked, “If he wasn’t happy with his wife, who was he fooling by staying in an unhappy relationship?” His answer? He had had an affair a few years ago but his wife had begged him to stay and try to work it out. Of course, that led to one of the real reasons he stayed married—he explained that it would be very expensive to divorce. Obviously, money was an issue for him. When Thom asked him straight out, “Out of the half a million dollars that you make each year, how much are you saving?” He answered with a frown, “Nothing.” So between maintaining two households (not to mention two women), raising his kids, and living very well, he had nothing left over. Meanwhile, he was aware that the clock was ticking and he couldn’t figure out how to make it stop. Thom and I are not counselors and we didn’t pretend to be. All we did was ask him a few questions and listen to his answers. What became fairly obvious before our conversation ended was that a big part of his problem was that he didn’t want to take responsibility for how his life was going. He was working hard and spending every dime he made maintaining a lifestyle that was unsustainable. Even worse was the belief that the majority of his problems came from his wife, although he repeatedly told us what a good woman she would be to grow old with—clearly a concern because his girlfriend was over 20 years younger and would never stick around if times got tough—again, his words. The reason I am sharing this conversation with Mark is that it provided a perfect example of how money does not automatically lead to happiness or positive aging. In contrast, this last week we had dinner with Thom’s client Bernie and his wife Maureen. As I’ve mentioned before, Bernie is going to be 95 in September and his wife will turn 94. Not once during dinner did they complain about the fact that Bernie now finds it necessary to use a walker to get around or that Maureen isn’t driving much lately because she has gotten into a few too many fender-benders. Instead, we talked about their three successful and happy grown children, a little bit of business (real estate investments), and even politics (we all have similar viewpoints). And oh yes, we talked about an article Maureen (who is an avid reader) read recently about positive aging. She even cut the article out of the New York Times, so she could share it with me. What a difference. Now I’m not blind and I know that some people struggle to pay bills regardless of whether they are older now or not. Not having money for a basic living is difficult no matter who you are. I also know some people who wake up every day and face grim health conditions. Understandably such people face far more challenges than Mark, or Bernie and Maureen. Yet, in contrast, I can’t help but remember my own father who lived the last couple of years of his life on social security. By living frugally, he had managed to buy a modest, free and clear mobile home in a decent area and kept his expenses minimal—even as he nursed my mother through a stroke, Alzheimer’s and eventually cancer. Throughout it all, he continued to maintain loving relationships with his family and spent several days a week playing pool with his buddies at the local Elks lodge. 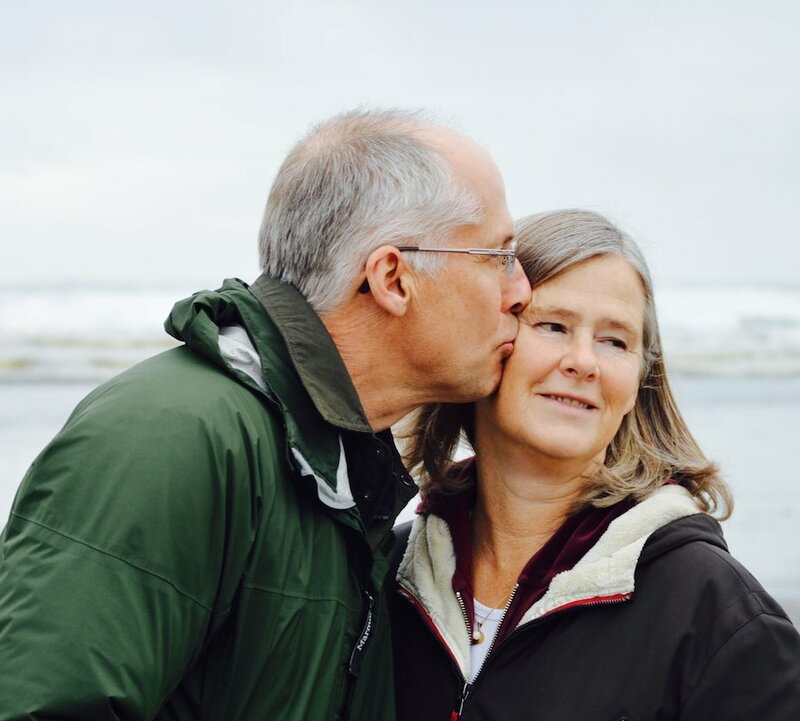 Although eventually diagnosed with advanced prostate cancer, Dad still managed to enjoy life and never complained about getting older or not having as much money as others. It’s true he was extremely depressed when mom passed away. But six months afterward he hooked up with a widow of an older family friend and spent the last two years of his life joyfully in love. I’m convinced that it is our attitude and perspective that determines how our future unfolds—and the only people in charge of that is us. I also believe that a big part of the problem is how we compare ourselves constantly to others. There will always be people who have more money than I do and appear to have advantages that I don’t (health-wise, income-wise, position-wise, talent-wise, work-wise, etc.) So, if I compare myself to them I will always fall short and feel deprived. By the same token, if I compare myself to those less fortunate, I can make myself feel unworthy or guilty because I have so much more. I don’t personally think that my comparing myself to those more fortunate is any better or worse than comparing myself to those with less—but that the amount of torment or peace that I can generate for myself by that comparison lies within my control. Of course, please note that I’m not saying that we shouldn’t try to help those less fortunate, but my making myself miserable or ashamed out of guilt won’t help them at all. In my opinion, The most important characteristic of positive aging is our mindset. Just like the professor Randy Pausch said before dying at age 47, “It’s not about the cards your dealt, but how you play the hand.” And yeah, that means admitting that life often isn’t fair and sometimes horrible things happen to very good people. What is important is that we keep doing what we can, with what we have, where we are. That applies to staying healthy, aging well, achieving as much happiness as we can manage, and doing what we can to be of service to others and the world. And maybe, just maybe, it is SMART to remember that real wealth is loving others and living the best life we are able. Okay, your turn. What do you think? Do you think you need more money than you have to age well and happy? What do you think it takes? Do you have examples in your life of people with or without money that have helped create your current mindset? Please share your thoughts in the comments below. I experienced living below the poverty line for seven years when I was a university student. I had a great life and did not feel deprived as my material wants were few. 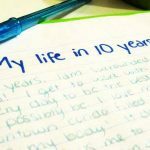 However, I also was aware that I was living close to the edge, where one or two unexpected things — a health issue, not being awarded a scholarship, an unanticipated pregnancy, or a relationship breakup could have put me over the edge into a financial crisis. So I do not take my financial security for granted, or squander money to keep up with the Joneses. Money does not create happiness, but an income below the basic level can certainly make life stressful and difficult. Later in life, when my first husband died at a young age, I was grateful that I had invested in a good education and was able to support my family. But I had to work very hard and money was tight. At that time, I would have never predicted that I would be able to retire early and have the comfortable lifestyle that I enjoy today. Well said, and SMART to show us some insights about money in relationship to positive aging. The story of Mark is one many workaholics and successful people (with money) have. In my opinion, it’s all about your priorities in life. Rich people can be totally unhappy about their life and focus on the “wrong” things, giving healthy aging no thoughts or no chance. Yet, poor people might look after themselves in a healthy fashion mentally and physically, yet not worry about money. It’s the mindset, like you mentioned, Kathy. The focus, the priority. Also, people could be poorer by choice (like Mark and I) not so much focusing on making money, but on a satisfying (and therefore healthier) lifestyle. 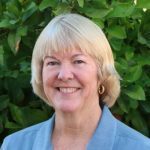 Kathy, I have lived in a marina for nearly 4 years now, and I have seen countless people with very limited income, remain happy and active as they age, living life on their own terms. We have a friend who is legally blind, due to macular degeneration. He lives on a small sailboat with his dog. He never married, but has spent his life on the water, following his passion and being a part of the boating/sailing community. He can’t sail or drive anymore, but he rides his bicycle everywhere, with his dog in a Burley trailer behind it. He once took his dinghy on a camping trip, and he was one of the few liveaboards not to leave the marina during Hurricane Harvey. I think positive aging is more about remaining engaged in your passion and staying connected to your community. Beautifully said. For the most part, I am happy with my aging process. I probably fall in the middle as far as wealth goes. It’s when I don’t get proper rest when my mindset goes awry. If I’m overtired, I can really get down on myself. For me, the big three are rest, nutrition, and exercise. It sounds like Mark arrived in your life at the perfect moment – not only to provide you with content for another excellent post, but also as a walking, talking (too much) reminder of establishing SMART priorities and values and living according to them. I don’t hear from too many people like Mark, thank goodness, but I have many friends who are reluctant to retire because they think they need to accumulate “a little more money”. That wouldn’t be a problem if they enjoyed what they are doing, but these are usually people who are done in and staying only for the money. I worry for them. They’re so often the ones who die before they have a chance to enjoy this amazing stage of life. So I agree with you, Kathy. 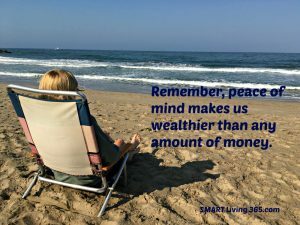 Positive aging is more about mindset than it is about money. When money rears its’ head, it’s often a signal that the person has some concerns about aging and is using money as a seemingly ‘logical’ and ‘reasonable’ cover. Hi Karen! Isn’t it true that the people who come into our lives (even for such a short amount of time) provide content and contrast for future blog posts? I confess that Mark offered Thom and I several hours of conversation since that time. Unfortunately, where we live in southern California there is a great deal of ostentatious extravagance. People won’t just say where in the desert that they have a 2nd (or 3rd or 4th) home, they make sure they let you know which country club their home is in. At the same time, we also live in an area where there is a lot of agriculture in addition to the heavy tourism. The people who work in the fields and in the service industries often struggle to live with an extreme poverty level. It’s an odd combination but it provides a window into what leads to happiness with or without money. Like you say, there are those who have considerable resources who are afraid and those who have practically nothing who seem to be reasonably content. (As always) You are so right Kathy – it’s not about how much money you earn, it’s about how you manage what you have. My husband and I have never had high incomes but have managed to be debt free, own our home and have some investments tucked away for retirement. We have simple needs and don’t spend a lot (although he did tell me that steak for tea would be nice occasionally!) I love the life we have and the fact that we are content with a LOT less than your friend Mark has – it’s not what you’ve got – it’s how you use it! And I’ve come across some pretty miserable rich people so I know that money doesn’t always buy happiness. Sounds like attitude is more important than material things. Positive aging isn’t only for the rich, no. But it’s easier to feel positive if you don’t have to struggle financially, if you know you can afford the necessities of life. I sometimes think discussions about finding one’s life purpose and aging well overlook the necessity for adequate income. Although attitude is so important, I know of people who have been dealt a very challenging hand (health, financial problems not of their making, other personal disasters) and they struggle to maintain a positive outlook. I have been (although I really dislike the word, I’ll use it) “blessed” in so many ways so I would hate to judge others who haven’t been so lucky (and, yes, I worked hard for much of my luck, but not all of it). But, that being said, I very much agree that for the most part the attitude we bring to a situation colors the outcome – or at least our perception of the outcome. We are all – if we are lucky, anyway – growing older. I may not be thrilled with my wrinkles, but I’m happy with just about everything else. Life is good. Hi Janis! I certainly hope that I didn’t neglect to express any sympathy or compassion to those who are struggling either with finances or health. However, I do believe that the majority of us have more power over our circumstances that we always believe. This post is for them actually. I too feel that I have been very fortunate in my life and my current life is also very good. But I don’t think we can ignore the fact that Thom and I have made some very intentional choices that have led to our current lifestyle. And no, I don’t think that every disaster can be avoided, but LOTS can if you work at it. You and I have chatted enough that I know the same is true for you and your husband. A good example is a family member of mine (and I’ll bet a lot of us have them in our families too.) She is single and makes a little more than minimum wage. She called us a few months ago saying she was considering a debt consolidation service because she was about $20,000 in credit card debt and although many of those cards offered “free” interest rates, most of them were kicking into high rates very soon. We told her that we didn’t recommend the services she was considering but offered some free advice if she wanted to show us how and where she was spending money. What that boiled down to was that she was spending money each and every month (nearly $300/month) that she didn’t have and it was piling up on her Credit Cards. Sure some of it was necessities like rent and food, but some of it was things like pet insurance for her dog $50/month and other personal products like essential oils and name-brand hair and skin products. Fortunately she has decent health care, and at 55+ she is in reasonably good health. But the bottom line is that she is spending more money than she makes. We suggested a few changes and also came up with a couple of “side-hacks” where she could make a little money on the side to help get her out of debt. While she was willing to cut back a little…she wasn’t even remotely interested in any other work that could bring in extra cash. While it is her life and I sympathize, I don’t see a very happy future for her unless she is willing to make some major changes. Believe me, I didn’t have you in mind when I wrote of being mindful of challenging circumstances of others. You have tons of compassion for those who have found themselves – through no fault of their own – in dire circumstances. I also absolutely agree with that many/most/all of us can make conscious choices that will help us to create positive outcomes in our lives. Kathy – thank you for this thoughtful post. Having been in a position where I needed to decide between keeping the lights on and putting food on the table AND being in a comfortable enough position to not need to worry about money from month to month. While financial security is a ‘gradient’, I think that living frugally is quite different from facing real life-threatening financial concerns. Positive aging is, of course, a state of mind – so I’m not saying it is impossible, I’m just thinking it can take far more courage and strength to do it. I had forgotten about Randy Pausch. A good reminder. Live your life as if the entertainment is nature around you; the riches in your home–the love you have for your spouse or children; and what you can do to enrich your life, go to the library. Books there are free. Read. Think. Pray and always reach out to others. I agree with you Kathy! Mark has some self reckoning to do! Certainly some people are financially challenged. And then some people relish in the mindset, poor me- help me- and of course blaming anyone or anything, the damn economy, or company, or or or , not taking responsibility. Then there are those who want to make you feel guilty for being happy and successful! I guess it take all sorts but seeing a finite ending to our life as we age you would think the goal would be to enjoy and make the most of it. Kathy, I really liked how you compared it both ways – to those who have more and those who have less. Yes, I’ve done both. I think comparing down for me is worse – feeling unworthy and guilty. I’ve a good frugal streak in me so comparing up was less of an issue… I viewed a lot of that as wastefulness! But, I try not to do either anymore. I know I am blessed with financial stability, but I also know I worked hard for many years (and delayed gratification) to achieve that. Now it’s about living life, still relatively frugally, but not worried about spending money on things that bring us enjoyment. And to try and not compare. Oh yeah I would agree! I started saving for retirement the day I started working full time. I’ve known my financial planner longer than I’ve known my husband. Hubby and I always lived “on one paycheck” even though we both worked, and the second went into investment for retirement. This is why we are blessed with financial stability now. Luckily hubby let me lead on the finances…he is a spender, but was fine with me just never letting him see the money. There have been a few times when friends were doing lots of (expensive) travel and buying new cars all the time, and bigger/nicer houses that I felt a bit deprived, especially when the market fell a few years back and our investments tanked a bit. But now, we are retired (early) and not worried about finances…and most of them are still working. I am also blessed with having worked for a good company (32 years!) and being in a solid long term relationship (divorce is hard on finances I’ve seen). I know I’m in a very unique place!! “I’m convinced that it is our attitude and perspective that determines how our future unfolds—and the only people in charge of that is us.” I would say that it isn’t the only factor that determines how our future unfolds given unforeseen circumstances such as injury, poor health, financial issues, death & loss, etc. I do not believe that money is essential for happiness. If one doesn’t have enough money to pay for basic needs, then life is challenging. There are so many cost-free things in life that are enjoyable. I play cards monthly with a seniors group. One lady commented on what a pleasurable experience it was – good cards, good food (provided by participants), good company all for the price of $2 (used for prizes). That’s an example of attitude & perspective. Oh Kathy…how I love your words. This article came at just the right time for me. I know the “right” answer is to say I don’t think we need more money to age well and be happy. But sometimes I really wonder if I believe that. I mean REALLY believe it. I’m 41 years old and I have been through times of just a trickle of money to times when it flowed like a river. (Not a big river but that’s what it feels like when we went from counting pennies at the grocery store to going to nice restaurants without looking at the prices and gasping.) I honestly don’t know that answer for myself at the moment. I’m in the process of exploring my truth and seeking out what makes me who I am. I’m gonna go ahead and bet that money doesn’t have anything to do with how I hug the world around me… Love your words. Have for a long time. Thanks for being you. Hi Ginny! How kind of you to say that this post was helpful. I appreciate that at your age you are thinking of these things because honestly, it took me much longer! 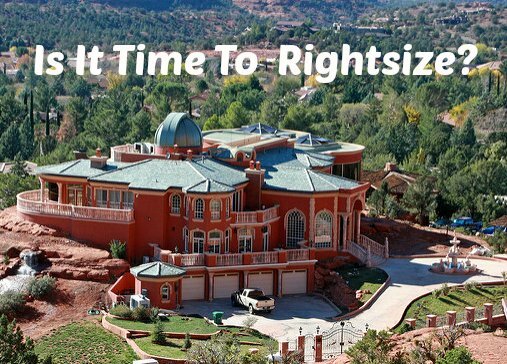 Besides writing and journally my thoughts, I think a big key for me was when we started “rightsizing” our lives. 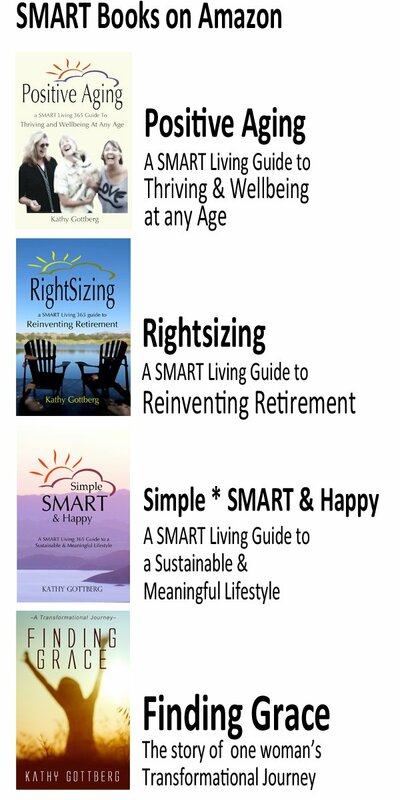 I like rightsizing so much because it is a focus on making important choices today that have long-lasting consequences. And I tend to believe that the sooner we learn what is really important to us, and let go of all the superficial stuff that others say we need, the most content and happy we will be. We won’t waste what money or time we have on things that don’t matter (or things we can’t change) and will instead stockpile memories, moments and relationships that DO matter. I have to admit I’m a person often guilty of playing the “if-only-I-had-x” game, believing that my life would be better, easier, more fulfilling “if only” … but I also know it’s a trap and only leads downwards. Your comment that “it is our attitude and perspective that determines how our future unfolds” couldn’t be more true. In the end, it’s always going to be about the relationships we have cultivated and the truly meaningful ones aren’t built by a large bank account but rather by the small moments we invest in them. Maybe that explains why there are those who appear to have very little material wealth, and yet their lives are rich. They invested in what they had – the people in their lives. Yes! This is the truth of the matter, Kathy! I’ve known miserable rich people and happy, satisfied average joes. Agreed – once human needs for warmth, food, safety and connection are met, the rest doesn’t necessarily make us any happier. It really is how you play the cards you’ve been dealt. After all, the only real control we have over our life is our attitude about it. Thank you for bringing this conversation forward!